Deciding between starting your business idea on the side or quitting your current job and taking the idea full-time can be a daunting decision to make. There are pros and cons to both that you need to consider, otherwise you could end up very unhappy with the route you’ve taken. After we go over the pros and cons, I’ll go over how you can make this decision for yourself with an evaluation. Risk is always present when you are starting a business. However, risks can sometimes be large or small, depending on the type of business you start and how launch and run the company. There are several ways that starting a business on the side can lower the overall risk of launching and running a company, which will only help in the long-run and help you sleep more peacefully at night knowing you don’t have major risks involved like some other entrepreneurs do. The second income you have from your day job will significantly lower the risk involved in starting a side business, because you don’t have to rely on your savings, investors or business profits for a salary. The second income will make sure you can still afford a place to live and food. Avoiding dependence on your savings will afford you a long runway when you’re just starting out, as a savings account will have a limited amount of money that you can work with. And doesn’t guarantee you enough runway to make sure your venture is successful. Circumventing dependence on investors will also help lower risk, because if you were to use up all the investors money before the company is profitable, you’d usually have to look at raising more money or closing the company down and disappointing investors. But when you start a side business and use the income you have from your day job, you can avoid the reliance on a well funded bank account or investors to get you through the phases when you’re not profitable. Secondly, planning the amount of money you’ll need for a runway before you reach profitability can be very difficult. Raising the correct amount of money and not using it all up before you’re profitable is a major reason why business fail. It’s hard to do. However, with a side income and no reliance on investors, you don’t need to worry as much as you would if you had taken the alternative route and raised money. With a side business, if you need more funds to continue, you can always work around your budget and get money and resources from your day job. This lowers your risk of failure and allows you to continue to work longer without making a profit and potentially increasing your chances at success. A major issue that all new and aspiring entrepreneurs face is raising money for their start up. But where the root of this issue comes is when they pick a business idea that is not suitable for them to start. For instance, if you only have $1,000 to start a company, it may be best to avoid ideas where you’ll need $50,000 to build a prototype. 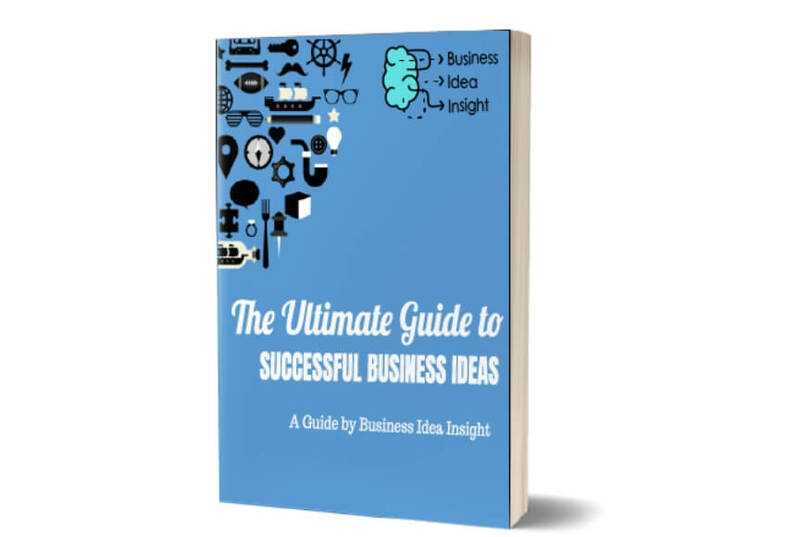 When you start a business on the side, you are able to choose a business idea that is low cost and you are able to fund this business as you have a day job. You’ll have money to save up so you have enough start up capital, even if that’s a few hundred dollars. And there is no business you can start with $0, all businesses take some type of investment, even if that is registering your company name with the correct city or government. Lastly, why it’s great you can depend partly on your full-time income and not savings is because there can be unexpected costs in your business. If you’re a new and aspiring entrepreneur, there may be some business costs you didn’t think about, but come up as you operate your side-business. The ability to save a bit more money that week to potentially cover part or all your unexpected costs can save you and help you in the long run. By starting a business on the side and not full-time, you also lower your start up costs. This is because you can usually work from home and you don’t need to rent any office space. No overhead costs means saving lots of money as rent or buildings can be a big expenditure for a new business. Also, doing everything yourself in the beginning will keep costs low while you begin to generate your first revenues. Both of these aspects can significantly lower your start up costs. When you start a business and run it full-time you’ll possibly depend on savings in the first few months or years before you have a profitable business. However, this is not the case when you start a side business. If you can start small, you can usually get all your funding from your day job if you’re diligent about not over-spending. This is great because you can still have an emergency fund and savings as security while you start a business on the side, lowering your overall risk. When you combine all these aspects, you are increasing your chances of success when starting a business, which is great when you’re first starting so you can sleep properly at night and still function at your day job. If things don’t work out in your favor, you can always try and pivot your business idea or change it all together without having massive consequences in regards to your financial scenario. Starting a business taking the side-business approach also makes sure you launch a business you can actually build, instead of spending years trying to find funding to bring your idea to life to run full time. When you’re running your business outside your full or part time job, it is inevitable that success will take longer. Since you may only be permitted to work on your business in the evenings and before work, that will only leave you a few hours a day, without taking into account other potential responsibilities you have. The con to this is that you may have to fund your business longer from your job because it will be harder to reach success quickly and turn a profit. You’ll need patience to overcome this downside to starting a side business. Another downside to starting a “side hustle” is that you’ll be limited to what industries you can enter. You’ll need to avoid industries related to the current job you’re working to avoid any conflict of interests you have with the current company you work with. A great way to get fired is to start a business that competes or is in an area of competition for where you work. If any managers or executives in the company find out, they will quickly fire you and possibly even sue you for potential damages from infringing on an employment contract (as many employment contracts specify you cannot directly compete with the business while working there). You’ll need to choose your industry wisely. Starting small can be a great benefit when starting a side business, however, to some, it may not be what they’re looking for. If you enjoy handing big responsibilities and risk, then starting small may only frustrate you in the end. Starting small also only allows you to generate small amounts of revenue in the beginning. Something to consider if you need to make a lot of money fast (because starting a business is a horrible way to make money quickly). Starting a business on the side is going to demand a significant amount of your time. That is the reality and there is no way to change that. Still not convinced starting a business is going to take a lot of time? If you’re wondering what level of side business you should consider, there are three things to think about. The first scenario is that you continue to work your current full time job and start a side business. The second scenario is that you quit your current full time job and move to a part time job and start a side business. This option gives you more time than the first, while still giving you an income to help keep a roof over your head, but with more risk. What are your current circumstances right now that would limit or allow you to choose an option? Maybe you can’t quit your current job because you rely on the income to feed yourself and your family. Or maybe you can’t stomach the risk of moving to a part time job due to the lower income at this moment, since starting a business is so new. What kind of available resources do you have that would allow you to get more time to run a side business and move to a part time job? Maybe you can move back in with family for a while, until your side business is making enough money where you can afford to move back out on your own, even with only a part time job. Or maybe you received a generous bonus from your full time job that you can use to invest in your side business, but the full-time job is what pays the bills right now so you need to keep it. These are just different scenarios that can get you thinking about what kind of resources you have and how that can affect how much time you can commit to your side business. How much risk do you want to take? Earlier we mentioned that there are a bunch of ways that starting a side business can reduce risk. Well, this can also affect if you want to commit more time to your side business and move to a part time job, or you’ll stay with your current full time job, because taking on that much risk right now would make you or your family uncomfortable. These are things to consider because you don’t want to give yourself a stroke from stressing over bills not being paid without a full time job. Now that you know the benefits of starting a side business versus just jumping into it full time, and how you can reduce the risk of starting your first business by doing it part-time while you continue to work. It’s the perfect way to dip your toes into entrepreneurship and learn the ropes of what it’s like to run a company. It will also help you build confidence in the long run before you take it full time so you can be more successful and feel more confident in your financial scenario and make a living from your company. The benefits highly outweigh the cons of fewer hours in a day to execute.